Goshen College is one of the 353 most environmentally responsible colleges according to The Princeton Review’s Guide to Green Colleges. The Princeton Review chose the schools for the sixth annual edition of its “green guide” based on data from the company’s 2014 survey of hundreds of four-year colleges concerning the schools’ commitments to the environment and sustainability. The free, 218-page guide can be downloaded at www.princetonreview.com/green-guide. Goshen College is featured on pages 30 and 88. Goshen College is one of only nine colleges and universities in Indiana to be named to the list. The college has also been named to the Sierra Club’s list of “cool schools,” and earned a silver rating from the Sustainability Tracking, Assessment and Rating System (STARS) report. Between 2008 and 2013, the campus reduced its carbon footprint by an estimated 22 percent. In the spring of 2013, the college took the further step of purchasing 100 percent of its electricity from renewable sources. 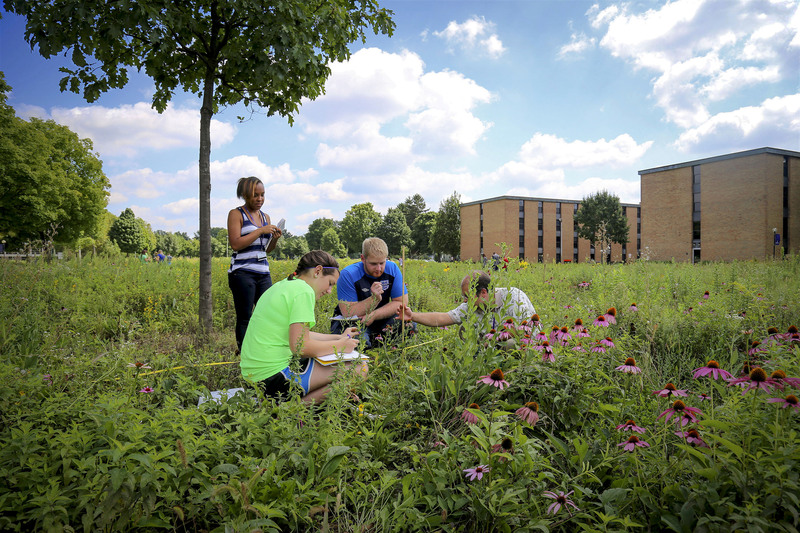 The campus has also converted nearly 20 percent of its lawn space to native plants and prairie restoration. Goshen College students and staff have developed a food composting system, planted a community garden, built a solar hot water collection system and continued to reduce energy consumption campus-wide. 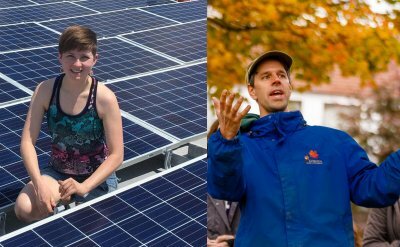 “We strongly recommend Goshen College and the other fine colleges in this guide to the many environmentally-minded students who seek to study and live at green colleges,” said Robert Franek, senior VP-publisher of The Princeton Review. The Princeton Review chose the colleges based on “Green Rating” scores (from 60 to 99) that the company tallied in summer 2014 for 861 colleges using data from its 2013-14 survey of school administrators. The survey asked them to report on their school’s sustainability-related policies, practices and programs. More than 25 data points were weighted in the assessment. 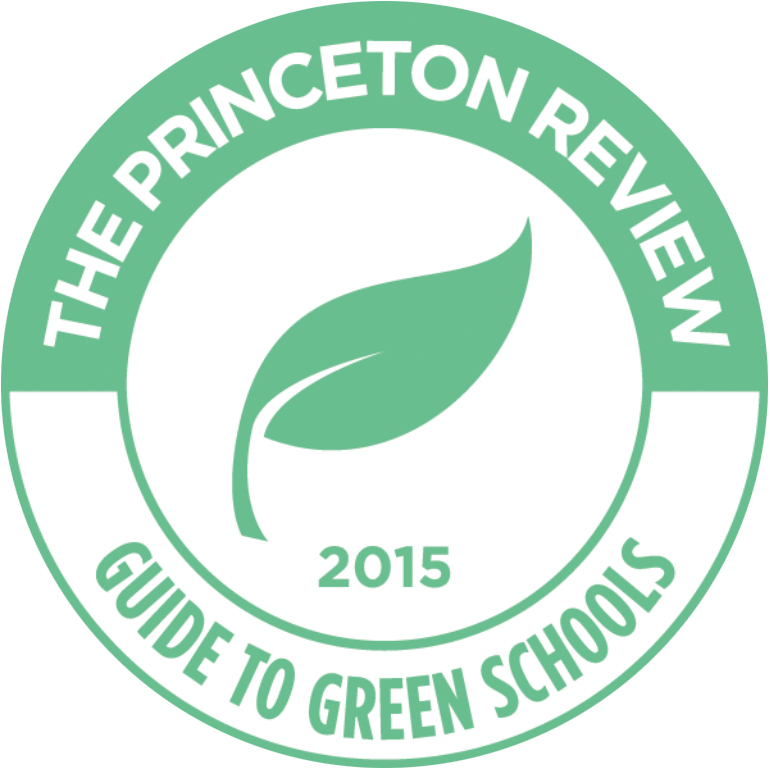 Schools with Green Rating scores of 83 or higher made it into this guide. Learn more about sustainability at Goshen College at www.goshen.edu/sustainability.